The progress plot is similar to statistical process-control charts used in manufacturing. The chart puts current progress into historical context, while serving as a focus for discussion by the project team and senior leaders alike. Project Progress Pro control chart. The original plan called for project finish in 32.5 weeks. However, the control chart warned in week 8 that a late finish was likely. The slope of the Actual Project Progress line shows everyone that tasks consistently took longer than plan. As a result, had management taken action in week 8, an on-time finish might have been possible. Statistical control charts of this kind have been in use since 1988, when the idea first appeared in IEEE Management . Until now, however, only a very few project managers used them—for a good reason. This is because setting up a control chart called for a good knowledge of probability theory and other mathematics. 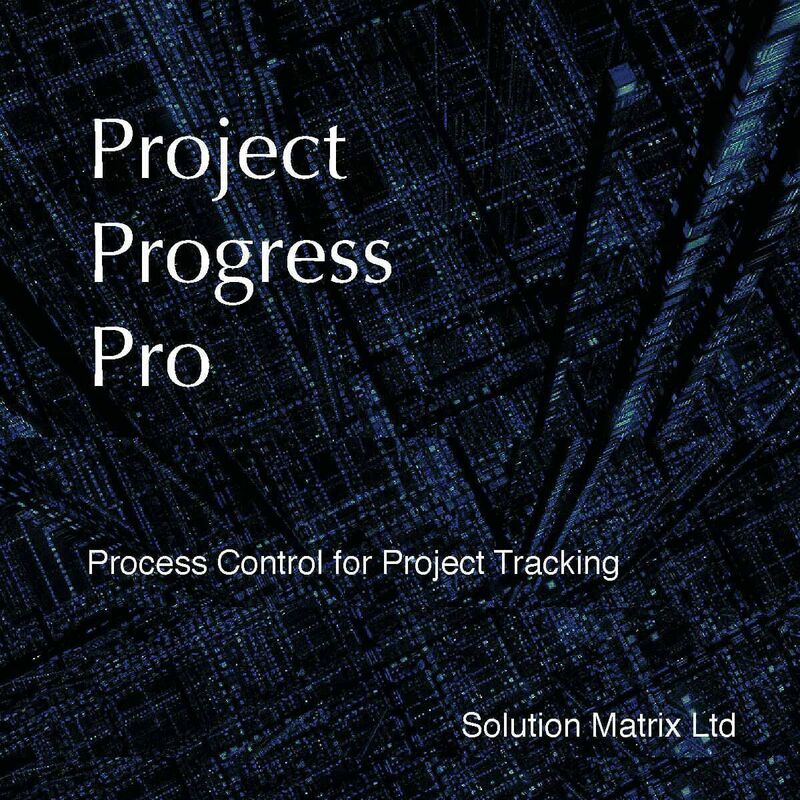 Now, however, Project Progress Pro puts process control tracking in reach of everyone, even those with very little background in statistics or math. The Excel-based tool requires only a few very simple inputs, beginning with just the number of critical path tasks and an estimated most likely time for each. Project Progress Pro does the rest, setting up the chart structure, placing the control lines, and plotting your actual progress against the original plan. Progress Pro tracks projects with up to 12 critical path tasks. Progress Pro works best with Microsoft Excel 2007 or later, on Apple Macintosh and Windows PCs. 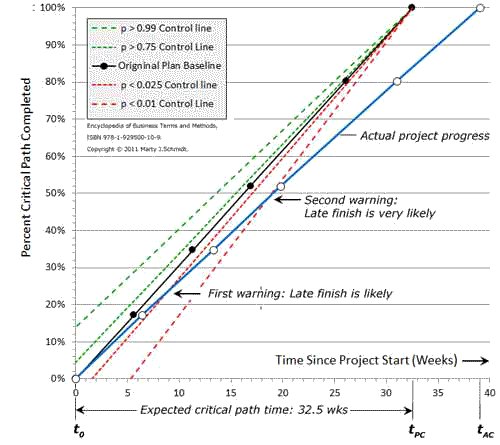 For more on theory, and practical use of statistical control charts for projects tracking, see the original IEEE Managementarticle, Statistical Quality Control for Project Progress Charting.